Last month, a secret deal was revealed between Taiwan and Australia to send asylum seekers from Nauru to Taiwan for medical treatment. In Australia, the news has added to the controversy surrounding offshore detention centres, a crucial debate given reporting of yet another youth suicide by an asylum seeker on Nauru. Taiwan’s relationship with Nauru is particularly vulnerable because the latter briefly recognised China, from 2002 to 2005. People in Taiwan have expressed mixed attitudes towards this arrangement, often ignorant about the context of Australia’s migration policy and the controversy surrounding the offshore detention centres. Within Taiwan, those supportive of the arrangement consider that by offering medical treatment to refugees from Nauru, Taiwan is showcasing its high-quality medical services and fulfilling its duty of international participation, a perceived “positive” that the country’s government also promotes. Taiwan’s Minster of Foreign Affairs labelled the deal as something that Taiwanese should be proud of. Supporters consider that acting compassionately also demonstrates the country’s “humanitarian spirit”, a depiction of self most Taiwanese use to distinguish between Taiwan and China. Media reports carry titles such as “Providing refugee medical service shows Taiwan is founded on human rights”. Such rhetoric is favoured by the ruling Democratic Progressive Party (DPP), especially at a time when President Tsai Ing-wen’s government has broken off formal relations with three countries due to China’s diplomatic war with Taiwan since the DPP took office two years ago. The government encourages everyday Taiwanese people to see the deal as a way to “help people from Nauru” (although none of the detainees are Nauruan) and to help Taiwan secure its position in the Pacific region, which is now home to six of the 18 nations that have diplomatic relations with Taiwan. Taiwan’s relationship with Nauru is particularly vulnerable because the latter briefly recognised China, from 2002 to 2005. In addition to formal diplomatic relations, Taiwan has another layer of ties with the Pacific countries due to the country’s indigenous cultures. The Taiwanese indigenous, about 2.3% of total population, belong to the Austronesia people who share a high degree of similarity in terms of culture, language, and way of life. Among many Austronesia migration theories, several scientific, archaeological, and biogeographic evidences suggest it is highly possible Taiwan is the origin of the Austronesian people. Yet the deal has its detractors. Sceptics seem relatively unconcerned about the refugees’ welfare, and do not see it as politically or morally incorrect to comply with the Australian Government’s request. Comments online suggest the public is most concerned about the deal being kept secret, and that the rights of the Taiwanese people may be compromised by the country’s covert involvement in a non-transparent process. Even though Taiwan has stressed that Australia is meeting all medical expenses, some citizens are questioning whether Taiwan has to assume responsibility for the detainees’ medical bills. Such misgivings seem based on the fact that Taiwan has been offering significant financial assistance to countries, including Nauru, in an attempt to maintain diplomatic relations. People also express concern that Taiwan’s sovereignty is being infringed, as media reported the forceful removal of ill refugees from Taiwan back to Nauru by the Australian Federal Police. The incident was later denied by Taiwanese Government. Some critics also wonder how Taiwan benefits from this deal on a broader stage. Taiwan has not gained much support from Australia regarding the China–Taiwan controversy, including Qantas Airways’ rapid acceptance of China’s request to list Taiwan as a “Chinese” destination. Taiwan’s political history attests to the fact that under-the-table deals can prove disastrous for the ruling party, evident in the previous government’s passing of the Cross-Strait Service Trade Agreement, sparked in the Sunflower Movement and ultimately instrumental in the downfall of the KMT government. In addition, the Tsai government’s popularity took a hit after its announcement of plans to introduce pension reform, a policy that takes effect this month. For these reasons, the Taiwanese Government has attempted to clarify its secret deal, trying to pacify the public with assurances there will be no harm or cost to the Taiwanese people. Most media reports and public discussions have omitted allusions to the troubling reality of Australia’s refugee policy: almost all have focused on Taiwan’s perspective. Only a very limited number of reports (see here and here) address Australia’s treatment of asylum seekers, which has been labelled “inhumane” by the United Nations Human Rights Commission. In Taiwan, due to the paucity of information provided by the country’s media and general lack of interest in understanding the issue, the public has limited knowledge of how the rest of the world sees this controversy. 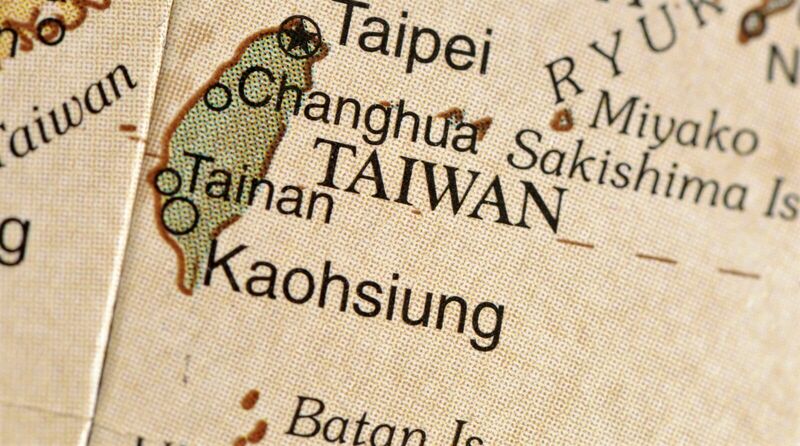 A second issue that surfaced as a result of this deal was Taiwan’s inability to manage refugees, mainly due to its lack of a formal legal framework. Because Taiwan is not a UN member state due to its political predicament, the country is not a signatory to the UN’s 1951 Refugee Convention (and this appears the most obvious reason why Australia chose Taiwan as the destination for medical treatment, as the refugees cannot claim protection on their arrival). And, although the domestic draft Refugee Law was proposed in 2005, progress has been slow due to official procrastination. The Kuznetsov’s arrival symbolises Russia’s return to the waters of the Mediterranean. Merkel has vowed to deport many new arrivals and a bill to open deportation camps has just been passed.